Ever wonder how people are able to make money blogging? 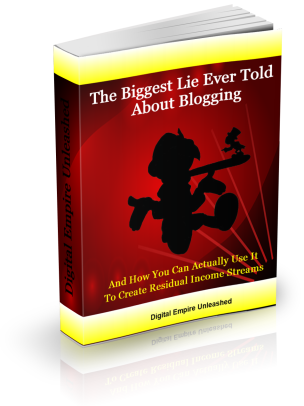 In this quick eBook, you'll learn the biggest lie ever told about blogging and what you can do to avoid getting sucked into that trap. You'll also learn exactly what it takes to get your blog positioned the right way, how to get in front of the right people and how to generate a side income. But we're not just stopping there with this quick and dirty eBook. You'll also receive "The Beginner's Guide To WordPress" bonus video series to quickly get you up and running. This is a limited time offer and price will go up soon.